Mark won by 6 secs last year. It's Costa del Solway time again. All the sun, sand and sea you could want without heading to Florida - or maybe not quite as much sun as you'd like, the sand is a hell of walk from the rally and the sea is bluidy cauld even at this time of year. Still it looks good in the post cards. 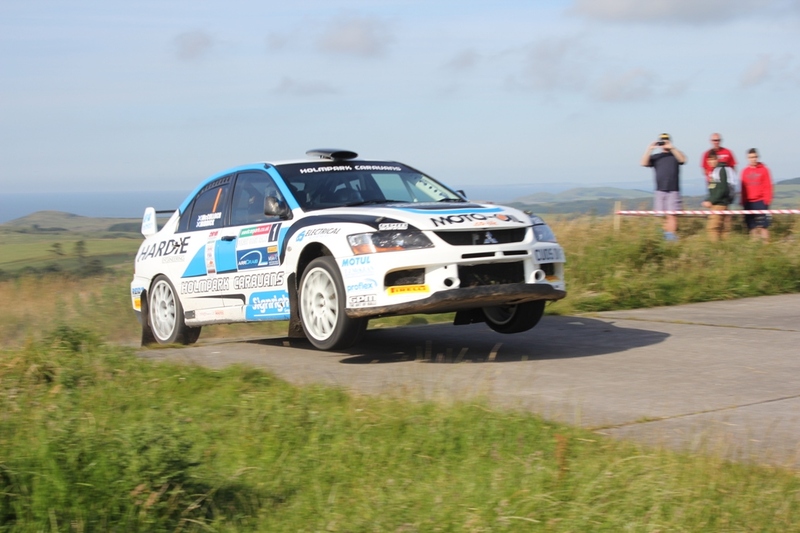 Mark McCulloch and David Hardie head an all-star tar cast for this Saturday's 'usedcarparts.co.uk Solway Coast Rally' at Dundrennan with these two aiming to take up where they left off last year. They had quite a ding-dong during the day which left them 6 seconds apart at the finish. On Sunday it's the turn of the Juniors, with almost 30 of the 14 to 17 year old drivers contesting their favourite event - on real roads. There is a full Entry List and basic Spectator Info in the on-line mag, but please abide by the spectator (green) arrows and instructions on where to stand. And don't pick up anything shiny in the long grass or you might find yourself distributed rather liberally across the landscape.